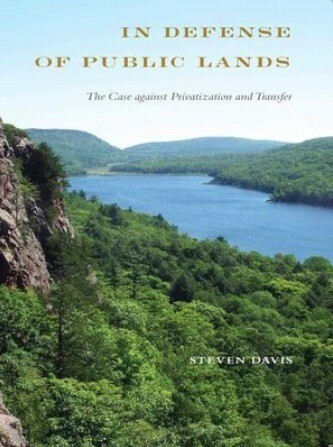 Steven Davis, In Defense of Public Lands: The Case Against Privatization and Transfer. Philadelphia, PA: Temple University Press, 2018. In today’s fraught political environment, scant attention is paid nationally to public land issues while campaigns are mounted to exploit and even divest the American people of this part of their legacy. 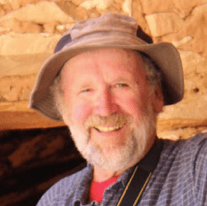 Political scientist Steven Davis takes on the divestiture part of the threat to public lands in this scholarly, readable, and brilliant treatment of such challenges to our public lands legacy. Occasionally public land issues make the national news, as in 2017 when the Bundy clan and allies took over the Malheur National Wildlife Refuge in Oregon erroneously claiming the refuge should be “returned” to local ranchers or when, in December 2018, President Trump took executive action to reduce two national monuments in Utah. Is there really a threat that significant portions of the public lands might be “returned” to the states (though they have never had them) and even sold to private interests? Davis thinks there is. He notes that in 2012 the platform of the Republican Party stated that “Congress should reconsider whether parts of the federal government’s enormous landholdings and control of water in the west could be better used for ranching, mining, and forestry through private ownership. . . . The enduring truth is that people best protect what they own.” He lists a sample of eighteen bills introduced in Congress between 2011 and 2017 that would allow greater exploitation and, in some cases, privatization of public lands. He explains how the Koch brothers-supported American Legislative Exchange Council (ALEC) drafted model legislation that was introduced in several Western state legislatures calling for transfer of federal land to the states. While extensive transfer has not occurred in recent history (much was transferred earlier in American history and Davis summarizes that), the Trump administration is pursuing a campaign to open vast parts of the public domain to oil and gas exploration, coal mining, and other extractive activities. Davis makes a convincing case that the campaign to transfer the wealth of the public lands to private interests has been and will be a long game, one aimed ultimately at getting as many resources as possible from public lands for short-term private profits regardless of the damage such exploitation might cause. Transfer advocates think it would be easier to get to those resources if they were under state and private ownership. The next chapter titled “Getting Serious About Biology: The Biological Case for Public Land” makes the case for why public lands are important today as never before. He explores how the environmental health of land can be measured on public and private land, and “tests the privatizers central claim that private land is destined to be better cared for.” What, Davis asks, are indicators of environmental health. Biodiversity is foremost, followed by landscape diversity, and unfragmented landscapes. He makes a compelling case that privatizer arguments that private lands are better cared for than public land is unconvincing and based on inadequate measures of land health. He argues that markets for the qualities of environmental health are weak to non-existent. The question, then, arises as to exactly how markets can protect biological assets such as biodiversity, clean water, healthy soils, and rich forests. It is perhaps quite telling that when privatizers discuss wild land and market preferences, they most often refer to such uses as sightseeing, bird-watching, backpacking, hunting, and other recreational activities, along with aesthetics and perhaps solitude, rather than the nitty-gritty elements of a well-functioning ecosystem, such as biotic composition of soil, the degree of forest fragmentation, or the presence or absence of invasive species. This focus is because with the former, one can at least try to make a plausible case that there Is a market for these things, while for the latter, there are really none. And that, in a nutshell, is the problem for these fundamental elements of true ecological health: they do not readily translate into any sort of realistic marketable commodity, at least not as markets are currently constituted. The next chapter is “Valuation of the Invaluable: The Economic Case for Public Lands.” As Davis has made abundantly clear by this point, all the arguments for privatization are economic, so he sets out to make economic arguments for federal land. After pointing out that privatizers use a “spectacularly narrow bandwidth” in their calculation of costs and benefits of private versus public land, he asks “where on the balance sheet are water quality, erosion, habitat loss, tourist and recreation activity, quality-of-life concerns, or carbon storage, just to name a few relevant factors?” He cites extensive literature that has identified a wide array of benefits of public land ownership beyond commodity production including “community benefits (and all wider spin-off effects), scientific benefits (research, education health), and ecological benefits.” He then makes a convincing case that public lands have a high return onublic investment in them and that they spur growth in many cases because people wish to live near and/or play on public lands. Davis’ discussion of valuation moves on to ecosystem services and cites a study that catalogues such services as “(1) regulation of atmospheric gases (CO2 and O2), (2) climate regulation, (3) disturbance moderation, (4) water quality and quantity, (5) soil retention and formation, (6) nutrient cycling, (7) waste treatment, (8) pollination, (9) biological control of pests and diseases, (10) habitat and biodiversity, (11) photosynthesis, and (12) biomass production.” These services are taken for granted, and traditional economics does not value them. “And yet,” he notes, “when these services are impaired or distorted by human activity, society pays quite dearly.” Ecosystem services are “public goods” and “have some fairly lousy market prospects.” Public lands managers are increasingly cognizant of the public non-market values they are stewarding while private landowners are acting in most cases in their individual interests, usually motivated by profit. They do not place valuation on ecological services. Privatization is often held up as a net gain, as the government should sell the land and raise much-needed funds, stop having to pay for its management and built-in subsidies, and get the land back on the tax rolls. But the tremendous stored value of ES [ecosystem services] provision on the collectively owned public land and water, not to mention the immense mineral and energy value below ground, as well as all the clearly demonstrable economic spin-off effects suggest something else altogether: that privatization would actually amount to nothing less than the most massive boondoggle of the century, rivaled perhaps by only the railroad and mining giveaways in the 19th century. The modest sum that we annually invest in the health and productivity of a massive base of natural capital that we all own and that provides us with invaluable public goods is actually one of the greatest bargains we will ever enjoy. This chapter makes a very compelling economic case for public lands. The final three chapters make the political case for public land (“The Fundamental Democracy of the Commons” and “A Closer Look at Government”) and look at the future of public land (“Looking Forward in a Time of Peril”). The political arguments are as well-reasoned and convincing as the rest of the book. Davis notes that “The debate over the political status of public lands comes down to the fundamentally unbridgeable ideological and paradigmatic chasm separating Homo economicus from Homo politicus.” He continues, “Privatizers express revulsion at the coercion exercised by governments upholding restrictive land policies. And public land advocates consider these same policies to be democratically legitimate and reflective of deeply held collective values.” People love their commons, their national parks, wildlife refuges, and other public lands. Writing a satisfying review is difficult because Davis makes so many good arguments for defending public lands that a review can only provide a taste of what lies between the covers of this 273-page book. I spent nearly a decade on the State of Washington’s Forest Practices Board, immersed in debates about what private landowners should do to contribute to the recovery of the northern spotted owl. Most private landowners believed they should have no obligation to do anything to recover the owl. If it was to be recovered, let the Feds do it. I thought of this often as I read In Defense of Public Lands. In those days I often reflected that if there were no public lands at the end of the twentieth century, there would be no spotted owls or many other species. That experience motivated me to read this book; and I recommend it to any others holding hope of protecting remnants of the natural world in the United States. As I completed this review, I read an article in High Country News reporting that the State of Utah, long a hotbed of the federal lands transfer movement, was asking for an exemption from the Forest Service’s roadless rule that for two decades has protected nearly four million acres in Utah. This state, of course, is where Donald Trump reduced Bears Ears and Grand Staircase – Escalante National Monuments. Conservation groups, reports Nick Bowlin, see an ulterior motive for this petition, “to undercut federal oversight of public lands.” Bowlin writes that “The roadless rule petition fits into the Trump administration’s recent trend of giving states greater management authority, rather than engaging in outright land transfer efforts. Public land advocates say the result is effectively the same.” The goal, of course, is to build roads into roadless forests to log them. Steven Davis recognizes that privatization and transfer are not the only threats to public lands. His arguments against those potential actions hold equally well for the sort of management that will occur with deregulation opening public lands up to rampant resource development and extraction. Foiled so far in its attempts to attain transfer, Utah is going the deregulation route in the Age of Trump. The threat of privatization and transfer is not, however, going away. Stay tuned. I hope Davis discusses Elinor Ostrom and her book, Governing the Commons, which propelled her to become the first woman ever to receive the Nobel Prize in Economics, in 2009. Dr. Ostrom trekked from forests in Nepal to alpine pastures in Switzerland and found that common pool resources have been managed sustainably for centuries, even millennia, if 8 basic principles of management were followed. 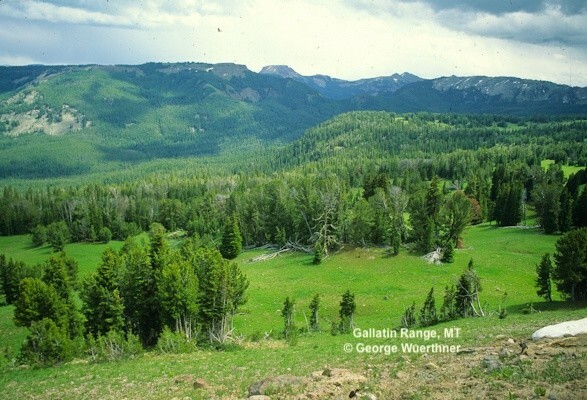 This refuted Garret Hardin’s infamous “Tragedy of the Commons.” Our national forests include most of these principles, and it was in fact the deforestation of privately held lands across the East that forced Congress to pass the Weeks Act in 1911, authorizing purchase of the eastern national forests. This gave us something virtually unprecedented in history: creation of a commons AFTER the land had been degraded by private owners. Commons land holding is the oldest human form of land tenure, documented for the first time in history in 1217 in the Forest Charter (tho Magna Carta gets all the press). Enclosure of the commons by aristocrats in England drove much of the migration to America, because peasants couldn’t live without access to forests. It was ancient commons customs that early settlers applied to the new land, particularly throughout the Appalachian Mountains, as they hunted and foraged and grazed livestock on mountainsides regardless of ownership. The fracking controversy in parts of the East highlighted the value of clean water from public lands. Davis’ metrics sound very good, particularly the biodiversity comparisons, which i believe are the ultimate test of land stewardship.